It’s only a matter of time until we get the facelift model here. Or will it? Remember the aging Honda HR-V that we raved about in our review? Well, its Thai counterpart gets a facelift and a new RS trim that comes in a variant-exclusive Passion Red color. Now, before you raise your pitchforks and protest that there’s nothing new with the subcompact crossover, there are a number of subtle changes that are kinda hidden in plain sight. Here’s a run through. 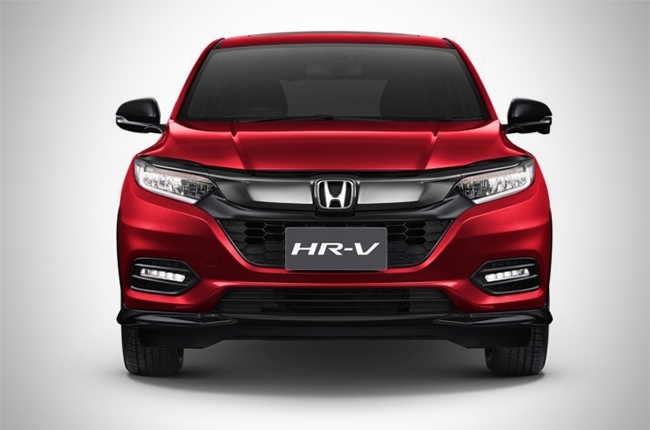 The biggest changes in the 2019 HR-V is right at the front fascia, starting with the now thick blacked-out wing grille with a huge H-badge. The headlamps and LED daytime running lights are also configured to align the car with its newer brothers, the Civic and CR-V, while the U-shaped mesh grille gets wider. Lastly, the bumper is reconfigured to house the strip fog lamps, still akin to the compact sedan and compact crossover. In profile, there’s not much updates except for the new design of the 17-inch wheels – clover-leaf type for the mid to lower variants and two-tone five-spoke type for the RS trim. The rear still has the twin horizontal LED taillights but gets a thin chrome strip at the center of the tailgate. 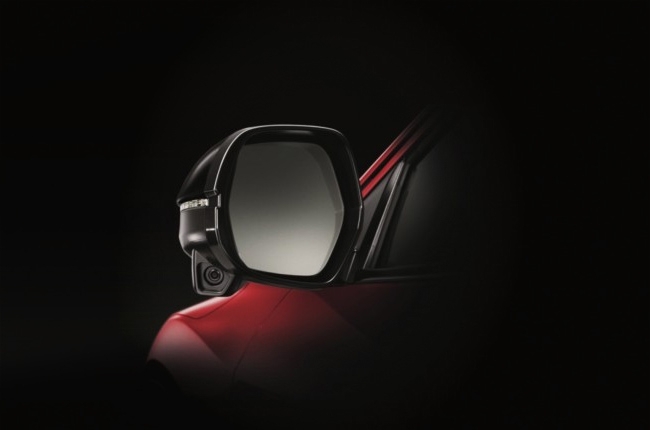 Aside from the mentioned variant-exclusive Passion Red color and quirky rim design, the RS variant has glossy black accents all over, easily seen on the under-claddings and beneath the side mirrors. 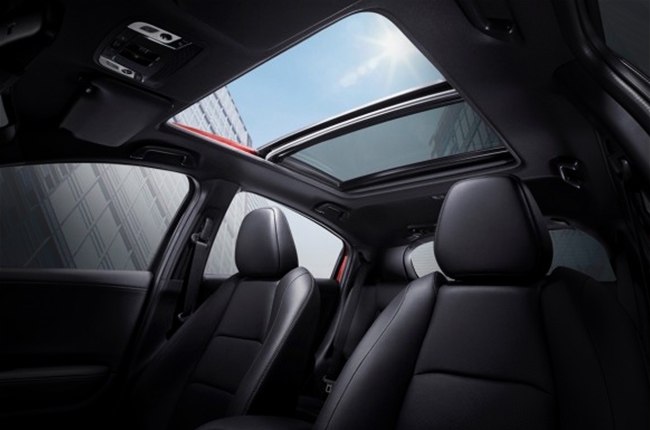 The interior doesn’t get much update as well, except for the RS-exclusive panoramic sunroof that adds ambience to the car’s cabin (and weight, too). 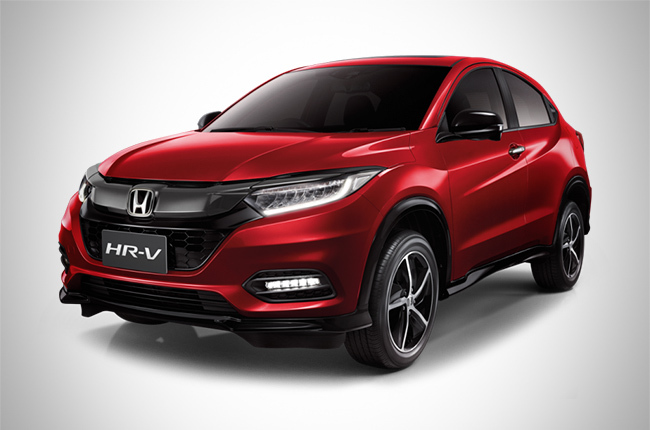 What’s nifty, however, is the safety features that comes with the Thai-spec 2019 HR-V, the top-of-the-line RS gets City Brake Active System (CTBA). This feature is Honda’s version automatic emergency braking system that works with speeds between 5 to 30 km/h. Also, aside from the six airbags of the EL and RS variants (four on E), the two top trims get Walk Away Auto Lock function and Honda LaneWatch – a camera installed under the side mirror opposite the driver, which was initially found on the CR-V and Accord. It’s literally a blind spot monitor that activates when you use your turn signals. The display is shown through the seven-inch touchscreen infotainment system. 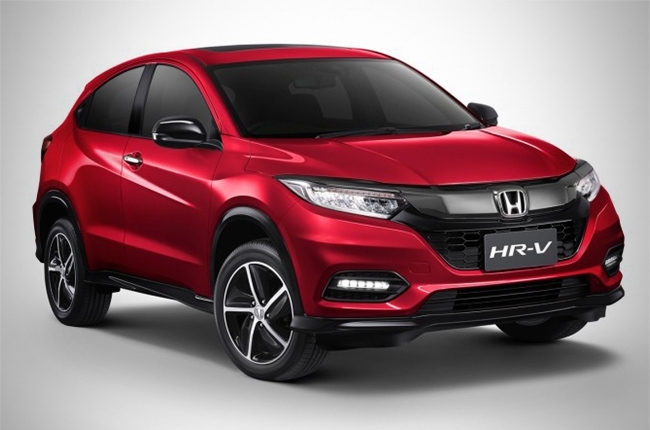 There were no changes in the HR-V engine, as it carries over the 1.8L SOHC i-VTEC power plant that churns out 141 hp and 172 Nm of torque, sending power to the front wheels via CVT with paddle shifters. 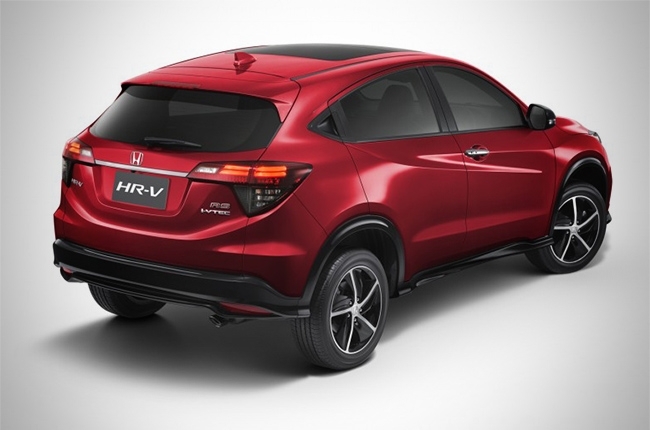 With the HR-V entering the local showrooms in 2015, it sure needs an update, needless to say. It’s only a matter of time before Honda Cars Philippines, Inc. brings it here, if they will, at all. Maybe by the end of the year? Who knows. Hi, I would like to receive a financing quote for the Honda HR-V, thank you.